It’s that time of year again: the time when everyone who writes about games feels compelled to catalogue their experiences into top ten lists and award some lucky contestant the meaningless title of Game of the Year. It’s a fun way to collect our thoughts, reflect on how the medium advanced (or didn’t advance) since the last time around, and, most importantly, argue endlessly about why everyone else’s list is wrong. 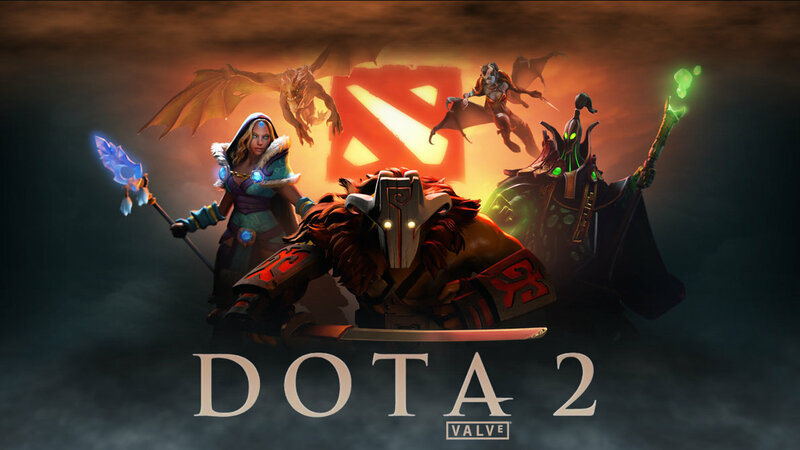 So without further ado, here’s the #9 title on my personal countdown: Valve’s Dota 2 Reborn. It’s hard to know how to begin to talk about Dota. 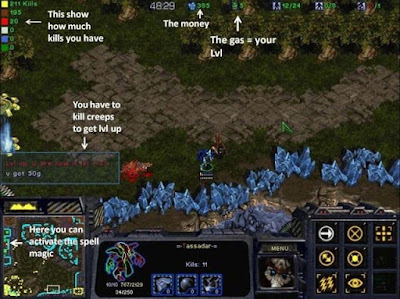 Though you wouldn’t know it from my current MMR score, I’ve been an alternately avid and casual player since its earliest days as a Warcraft 3 map, when I somehow managed to claw my way up the clan rankings on a 2001 Compaq laptop connecting to Blizzard’s US East servers over a 28.8k modem connection. At least on days when the power wasn’t out for our half of southern Thailand. Best of times, worst of times, etc. A little-known passage from Sun Tzu’s Art of Controlled Chaos. A lot’s changed since then. 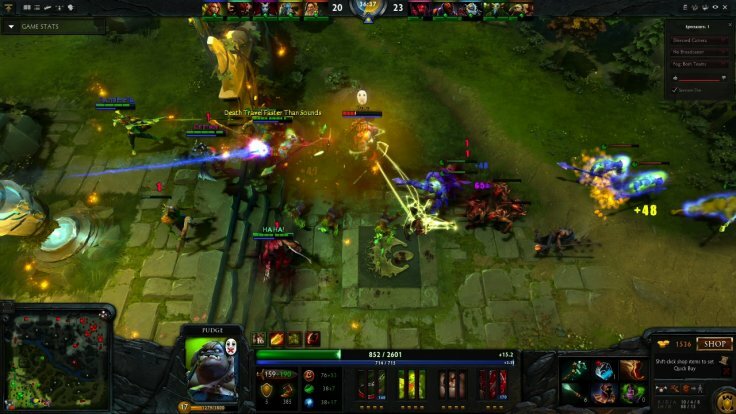 A little-known subset of mods once called Aeon of Strife clones (after an old Starcraft map) have risen to become the billion dollar e-sport industry known as “MOBAs,” an acronym for the stupefyingly vague label “Multiplayer Online Battle Arenas.” Dota was not the first of these, nor is it the most widely played. The younger, pay-to-play League of Legends - founded by a former Dota co-developer - rose up to swallow the largest market share while Dota was still struggling with matchmaking as a Warcraft mod and while its clone Heroes of Newerth failed to pull the playerbase to a commercial standalone client. But despite a delayed entry, the Valve-backed Dota 2 client has rapidly shot to prominence as the world’s most “serious” e-sport this side of Starcraft. Or, at the very least, the one with the most serious level of competitive play and earnings prospects for professional gamers. 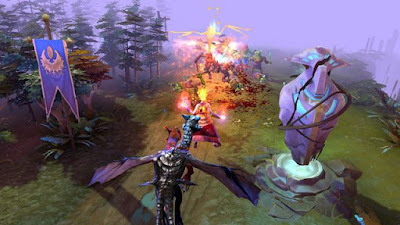 Seasons of Dota now involve dozens of annual tournaments on a global scale, culminating in a once-a-year blowout tournament known as The International that has now surpassed the Masters golf tour in prize pool totals, the winning team of which received twice as large a prize as the Wimbledon men and women singles champions. 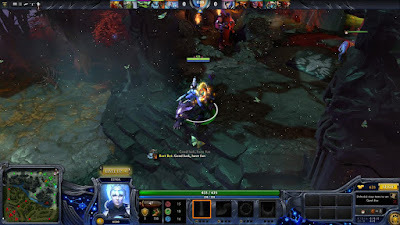 One of the few surviving screenshots of Aeon of Strife. 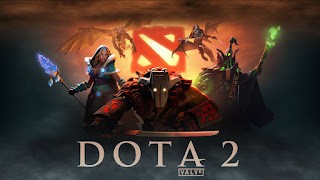 Yet for all the pomp and ludicrous piles of cash now involved in professional Dota, the game itself has retained the same core characteristics across its decade-long lifespan and has codified these basic elements for the genre. 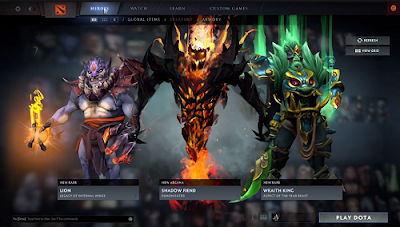 While this year saw a massive update to the underlying engine and the user interface components of the out-of-game menu in Dota 2 Reborn (which also reintroduced a version of the Warcraft World Editor that made mods like Dota possible in the first place), those basic elements have barely been touched even as new playable heroes are introduced and balance is altered. Pick your poison. Don’t worry, there are 112 flavors of death to sample. For anyone who’s missed this boat entirely, it’s helpful to know that “Dota,” lack of caps notwithstanding, is an acronym for Defense of the Ancients. Because that’s what the game basically boils down to: defending your Ancient, either the Radiant World Tree or the Dire Throne, with a team of five player-controlled heroes attempting to destroy the other’s. The player (usually) only has control of their personal hero (selected from a pool of over a hundred), while a rudimentary AI controls the waves of “creep” troops laying siege to the enemy tower defenses across a central dividing river. On either side of the river is “the jungle,” a series of locations populated by neutral creeps and secret shops, the control and “farming” of which can turn the tide in the overall battle. In a cave at the end of the river waits Roshan, an enormous draconic boss who typically requires an entire team to defeat but who drops tide-turning gold, experience, and items. you too can understand what the hell’s going on here! And that’s basically it. Matches play out along this basic formula for anywhere from 20-60 minutes, but the actual course of each battle is utterly unique to the heroes and players involved. 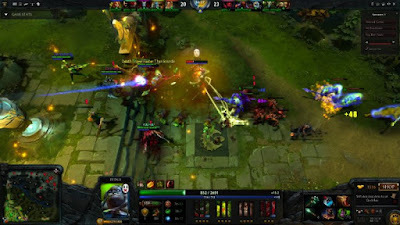 For the most part, players will fall into a series of loosely defined roles like “carries” (who require huge amounts of gold and experience to become useful but who ultimately carry the team to victory), “supports” (who typically possess the most spell power early on and can dedicate their gold to buying helpful items for the rest of the team), “cores” (a dependable hero something like a carry who requires less babysitting but doesn’t scale as well in the late game), and “tanks” (especially in the early years of Dota, a hefty damage sponge in the vein of a World of Warcraft tank, but typically with a strong disabling spell or two). Victory requires not only strong performance in each of these roles but constant, constructive communication among team members. 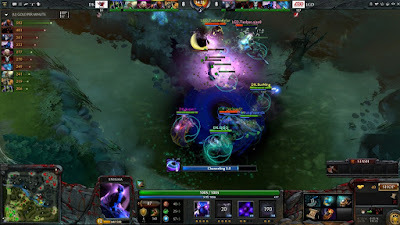 There are no lone wolves in Dota, other than dead ones. The team that trusts and cooperates with one another more cohesively is almost always the team who will win. Trust me, something really cool just happened in this one. It’s difficult to describe in writing - hell, in anything less than many hours of firsthand experience - exactly what makes this formula so compelling, or why Dota does it so well. For one thing, it can be almost incomparably frustrating. A game that requires you to invest as much as an hour of uninterrupted time, the fun of which is wholly contingent on you and four other (often anonymous) teammates getting along in the midst of a struggle, leads either to tremendous thrill and satisfaction or to outrage rage and irritation. Small wonder that the lower ranks of Dota’s public matchmaking have a (partly deserved) reputation for housing some of the most toxic human interactions on the internet. Jakiro is a two-headed fire-and-ice-breathing dragon. Yes, he cracks lots of silly temperature-related puns. But when everything goes right - when you find yourself matched with friends or friendly strangers, when you’re each giving your all and playing your part, and when you find yourself learning and improving not only in victory but from defeat - when all those stars align, you discover in Dota the most transcendent moments in multiplayer gaming. 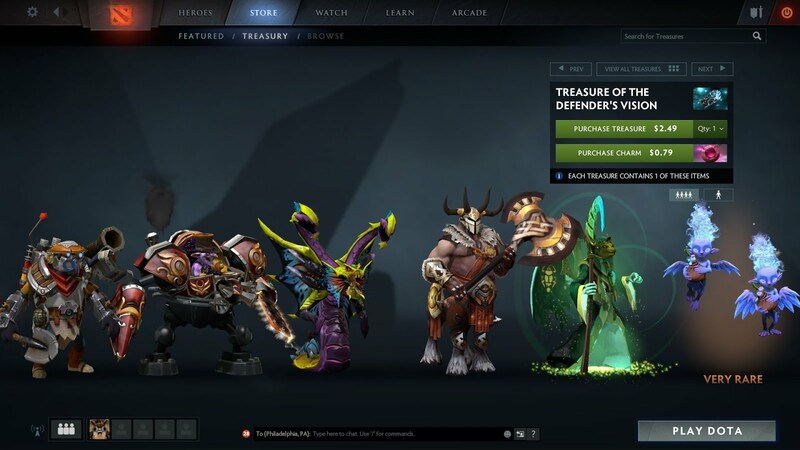 The learning curve is brutal, and even with Reborn’s much-improved tutorials Dota often requires an investment of dozens of hours before the fun sets in and hundreds before a player reaches basic competency with a handful of heroes. As with Dark Souls, the fact that so many of us endured through that and have remained loyal players for years is a testament to just how worthwhile the journey can be. 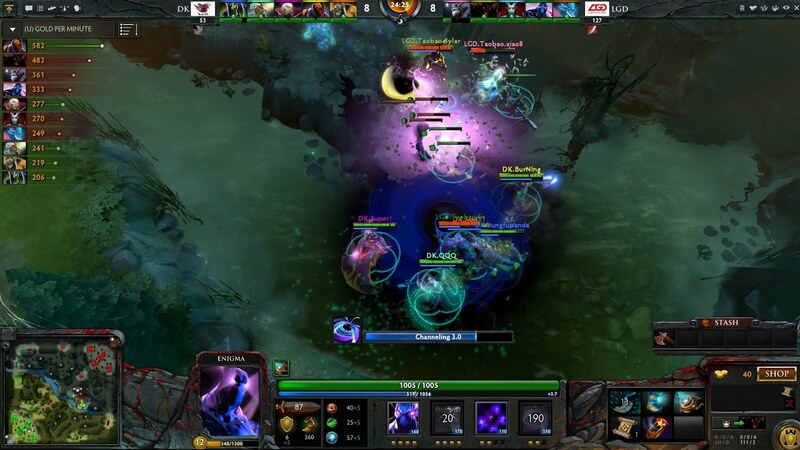 “Undying” is more or less always a misnomer in Dota. Dota’s community at their best moments are what elevate the meta experience of the game to those heights. The game’s history as a community mod with sequential authorship and just goes to show how tightly jolly cooperation is wound in its DNA. That legacy received new life in this year’s Reborn update, which in addition to numerous client improvements reintroduced a version of the Warcraft World Editor that made mods like Dota possible in the first place. In just the few short months since its arrival, the modding community has used the Reborn editor to recreate hundreds of classic Dota 1 mods and game modes as well as dozens of entertaining new ones. 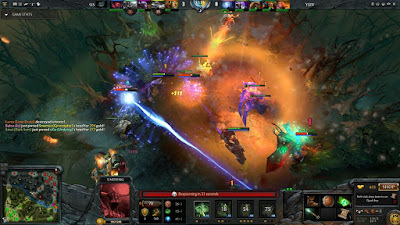 Now after ending a particularly draining match players can jump into a far more casual round of co-op Spin Tower Defense, a chaotic 3-team king of the hill game of Overthrow, a zany 10 vs. 10 variant of Dota itself, or any endless number of mini (and not so mini) games created by the community using the Reborn toolset. If this is what the community could accomplish in just half a year with Valve’s new toy of, and if the old Warcraft mod scene that spawned Dota itself is any guide, then we can probably expect even greater things to grow out of Reborn in the coming years. And to think in a few moments they’ll be screaming racial epithets at each other. So, there you have it. 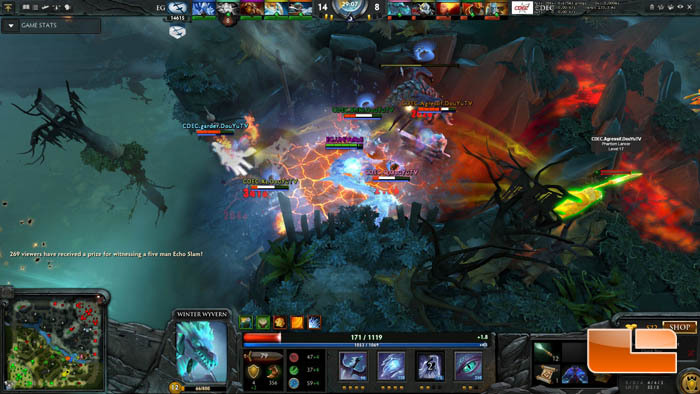 It’s a touch odd to be discussing Dota 2 as a 2015 game of the year, given its decade of life. 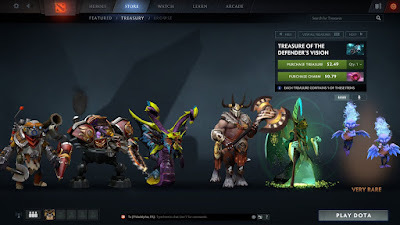 But between the Reborn reboot, the unparalleled spectacle of the International 5, and the big return of the Dota mod scene, this is Dota’s year in a lot of ways, and as appropriate a time as ever to give it its due. It may not be for everyone, but for those who know Dota and love it, there’s nothing else quite like it. Don’t worry, there are plenty of ludicrous hats to buy. Labels: Game of the Year 2015 , Good luck have fun , Pointless Lists , What R U Casul?